This post is a continuation of my "Canada Chronicles" series. 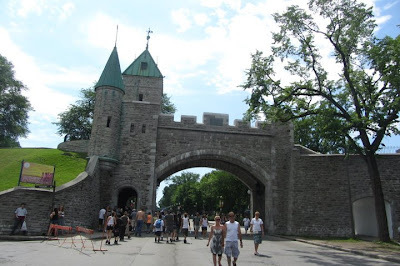 After I finished wandering around Toronto, I was at a loss with what to do with myself. Since I had spent a lot of time and resources traipsing about UK and Scotland, I couldn't take myself off to a week of hiking in the Rockies as I was dying to do. So I did the next best thing. I took a trip to Quebec City. I couldn't have chosen a better to spend my last few days in Canada because that trip was the highlight of my entire Canada Trip.I discovered that Quebec City is quaint, delightful and quite magical! Perched rather precariously on top of a steep hill, overlooking the St Lawrence river, Quebec City is a world heritage site and the only walled city in North America besides Mexico. 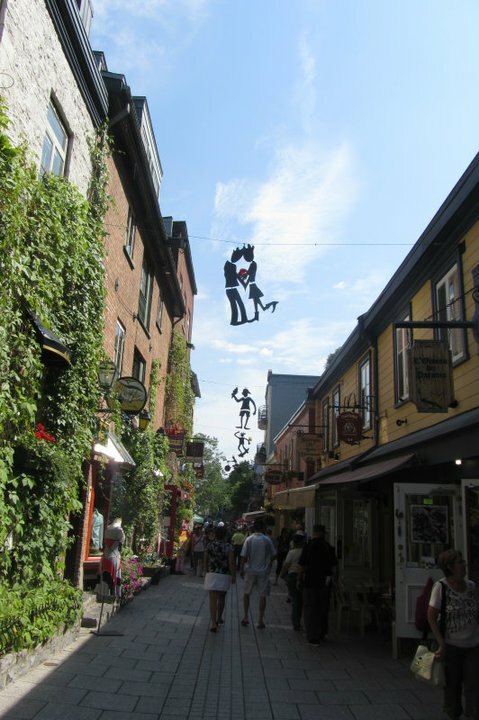 Quebec City has an old worlds charm and you feel as if you have been transported straight into a Magical land. 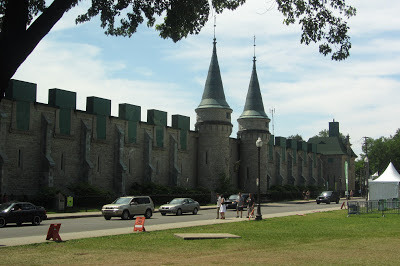 The old town is surrounded by a huge wall and as I looked up at the ancient gables and turrets, I felt I was looking at a castle out of fairytale.I almost expected horsemen to gallop out of the doors and a fair haired princess to look down from one of the windows ! 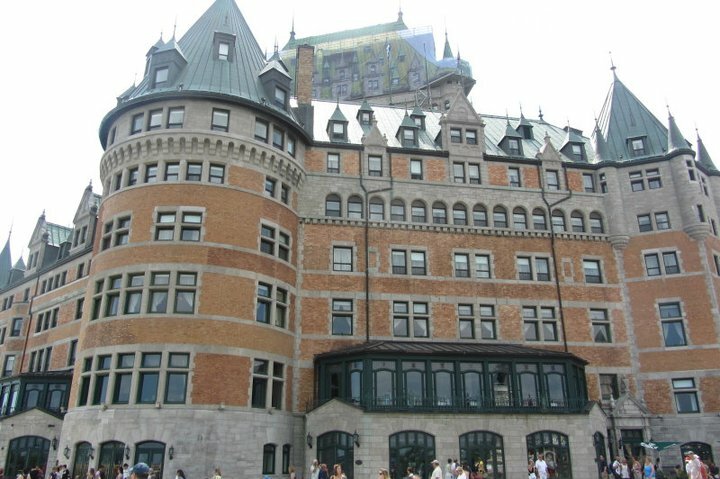 The city has a lot of tourist spots such as the magnificent Parliament hill, Plains of Abraham as well as the Chateau Frontenac hotel. The Chateau Frontenac is supposed to be the most photographed hotel in North America. Although the whole city is a tourist’s delight, it’s the old part of the town that is really picturesque and quaint. 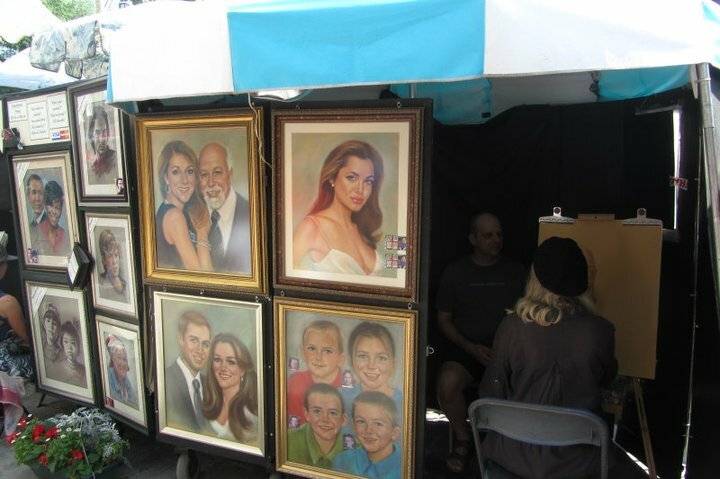 I spent very little time at the tourist attractions. Instead I spent all my time wandering around the cobbled streets of the old town soaking in the fantastic and unique ambience of the place. I found the place vibrant,thrumming with energy and absolute joie de vivre. 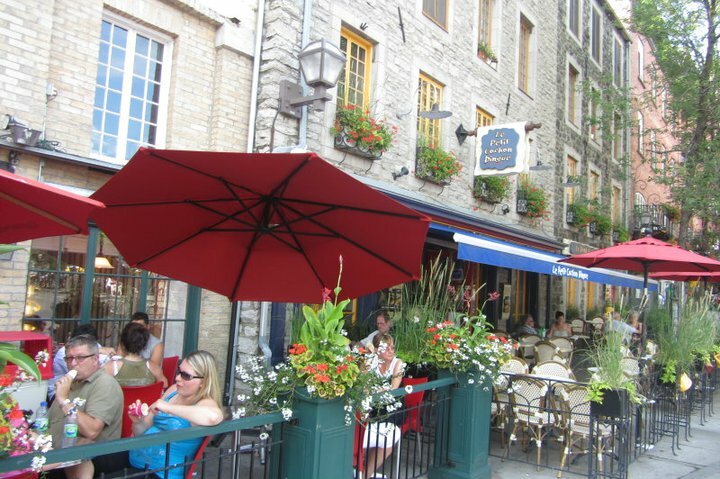 The shops were quaint,with very brightly painted vibrant doors and windows, Bistros with their chairs spilling over the side walks. Every window had Flowers in all colours and shapes framed in them. 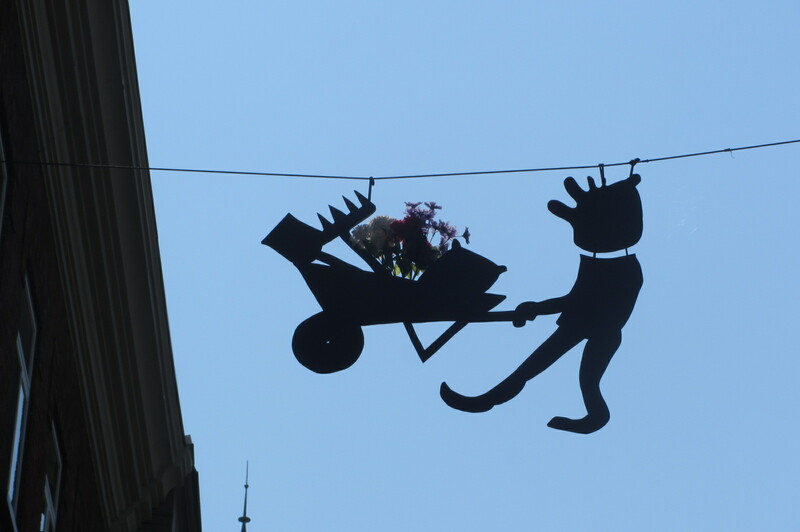 I was fascinated enough by the cobbled streets, the cute shops and the lovely flowers everywhere,when I saw this .. I also discovered something which no guidebook had mentioned. 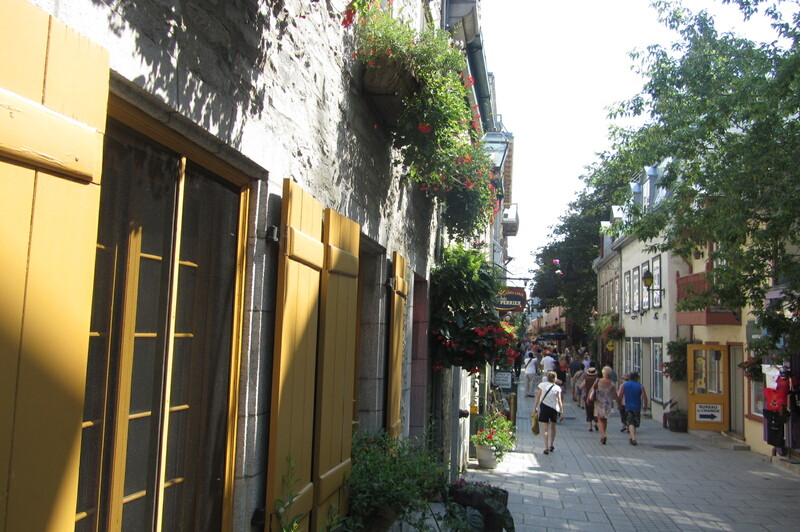 The old Town has this whole lane filled with artists displaying their watercolours and sketches.Most of the paintings were of the natural beauty and architecture of Quebec. 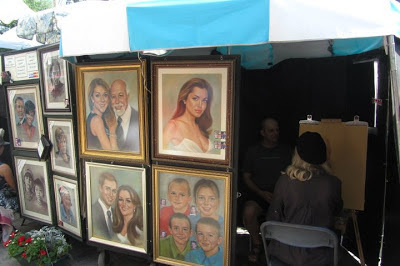 A lot of them also do portraits and you can get your portrait made in a very short time. By the end of the day, my feet were killing me from all the walking I did but my mind was a kaleidoscope of vibrant colours and images. 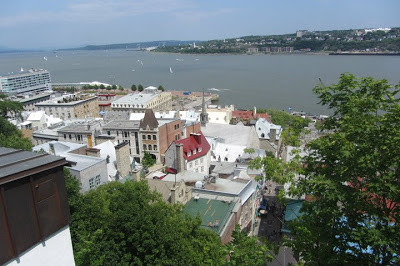 Quebec City left me totally enchanted and mesmerized.This is one place I shall definitely go back to ! 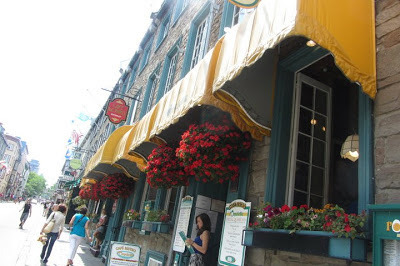 Loved those flowers in the windows and vines climbing up those houses. Beautiful. Somehow it gives me the feel of those lovely small towns in Italy. They have the similar charm and magic. Wonderful pictures! 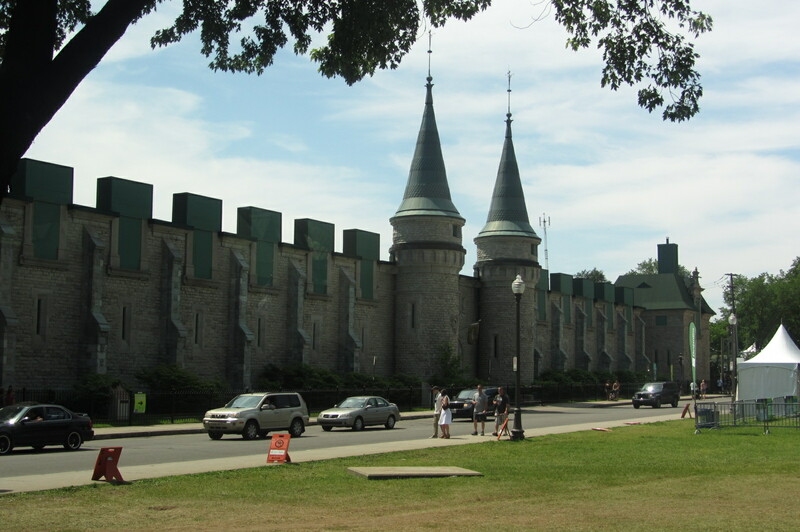 I too almost imagined horses coming out of that castle. Flowers on windows look divine! :) This place seems to be a magical poetry! @sangeeta – It is indeed lovely ! It was summer there and there were flowers everywhere ! @Bikram – I would love to go to Vancouver ! 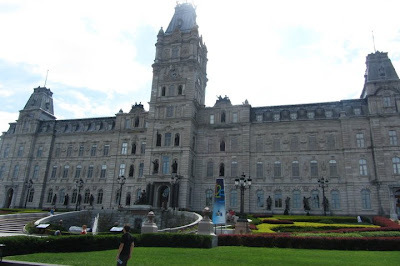 @Life Begins – It was a lot like Europe! 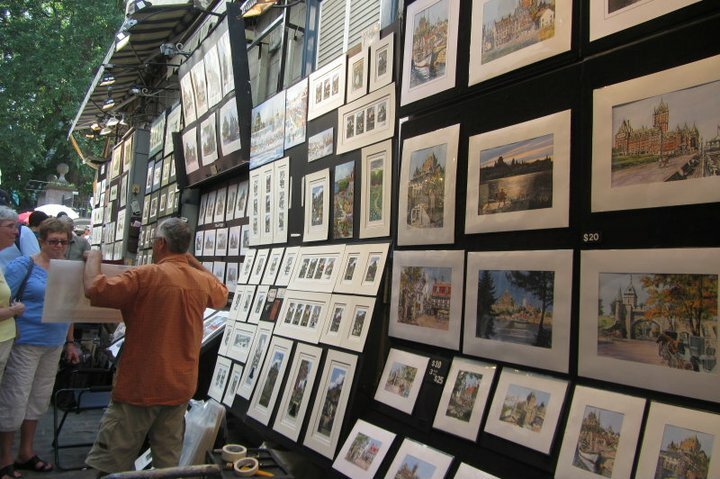 All the pictures are very well-taken and are a feast to the eyes. I wonder are those huge sunflowers real? I am a big time lover of Sunflowers. And did you visit Yukon? what a picture-perfect little place. lovely! 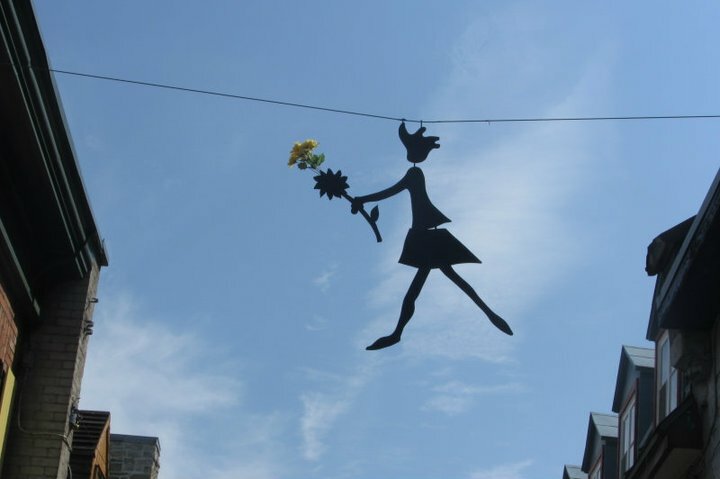 and i absolutely love those cut-outs of figures dancing up in the sky! @Scorpria - I loved the cutouts too ! Beautiful pictures, Ruchira!! I was in Canada in July to attend a wedding reception and we had taken a road trip from Toronto to Kingston to Montreal! 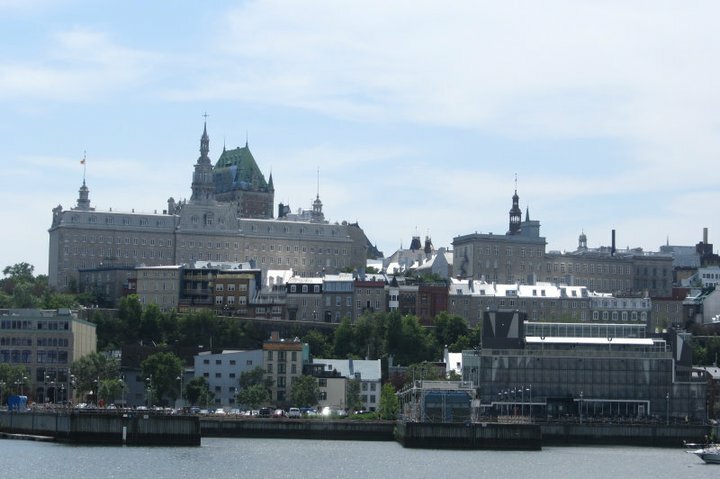 We missed Quebec City. 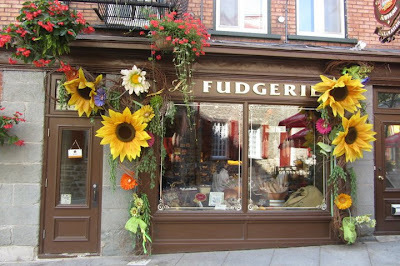 Will certainly visit next time! Great pictures and haven't I told you how jealous am I of your itinerary. 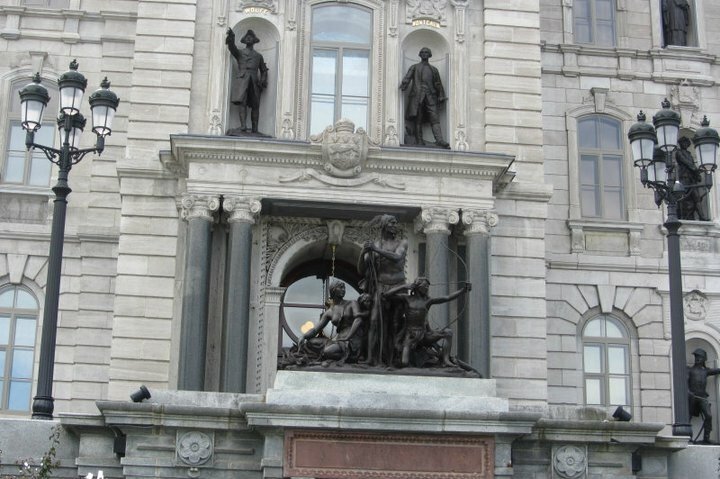 I lived in US for some time but never went to Canada. That is indeed quite magical. I wouldn't have been surprised if I had found Harry Potter and the gang peering out of those photos. I loved that flower-framed shop called 'Fudgeri*'. Lucky you! 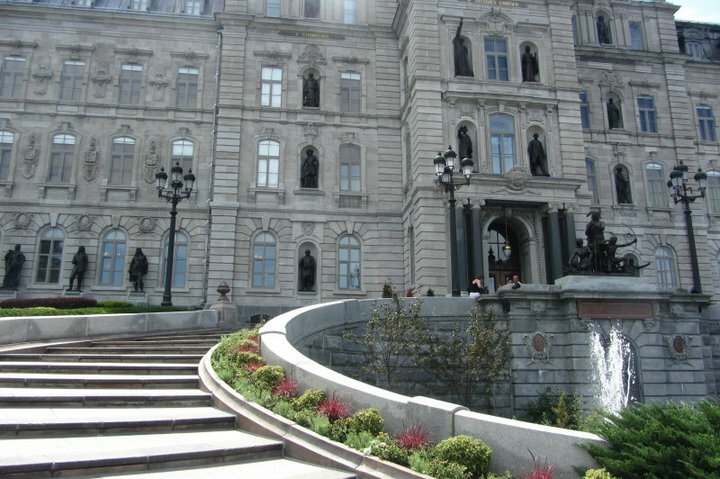 The enchantment of Quebec city is evident from the pictures! Lovely. such a lovely city.yes the old cobbled streets are much more romantic!! What a lovely city to explore! Beautiful pictures too!